The Battle of Mühlberg (1547) was a major battle between Catholic and Protestant forces during the tumultuous and bloody years of the Protestant Reformation, which commenced in 1517 and did not end until 1648 with the Treaty of Westphalia. Charles V was the Holy Roman Emperor, a title granted by the Pope and reserved for the kings who ruled over a collection of territories that varied over the years, but included extensive land holdings in present-day Germany, Switzerland, Austria, Italy, France, the Netherlands, Belgium, Poland, Czech Republic and Croatia. 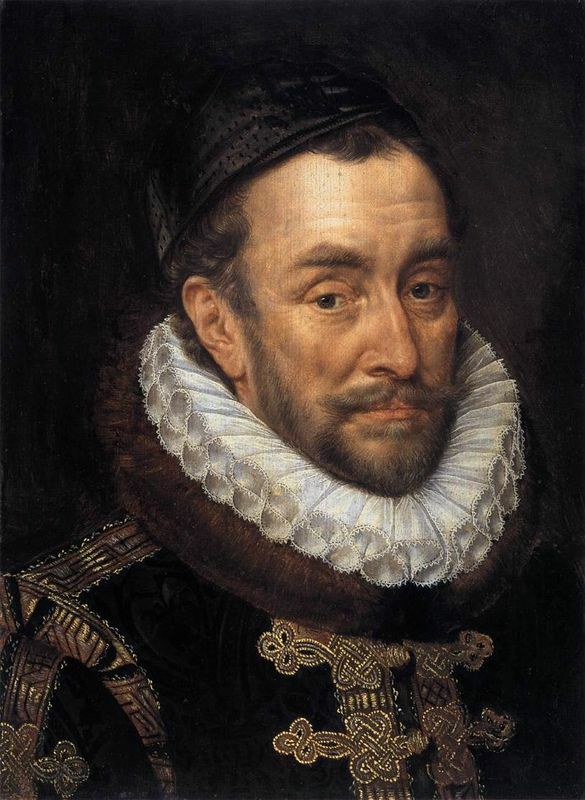 Charles V also had dominion over Spain, of which he was co-ruler with his mother Joanna until his grandfather's death in 1519, when he also inherited the famed Hapsburg dynasty. During the Reformation, a number of German princes denied Catholicism and adopted Protestantism, forming the Schmalkaldic League under the leadership of John Frederick I, Elector of Saxony. The League's members, who adhered to the new Lutheran faith, wanted to break free from the Holy Roman Empire and make their primary allegiance fall on this newly-created Protestant league. When the Schmalkaldic League rose up against Charles V and his Catholic empire, the Emperor and his soldiers rode to Mühlberg, Saxony, to crush the rebellion, which they did relatively easily early in the morning when their Protestant foes failed to organize efficiently on the foggy battlefield. After crushing the rebellion, the imperial forces eventually dissolved the Schamkaldic League and John Frederick I was promptly arrested. 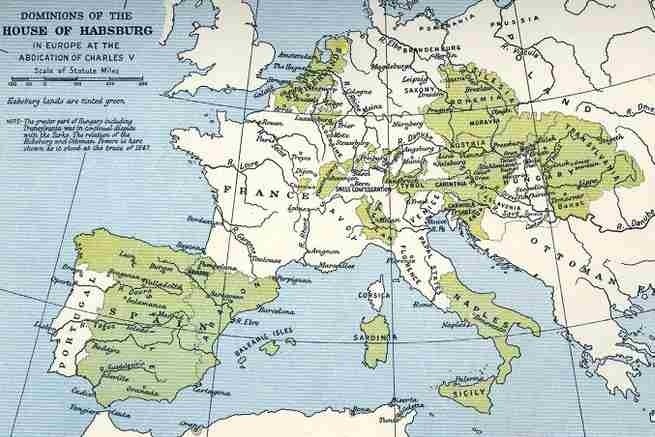 Luckily for him, the extent of his punishment for trying to secede from an empire that was both holy and Roman was merely to relinquish his post and most of his lands to his cousin, the still-Catholic Maurice of Saxony. Upon his triumphant return from battle, Charles V commissioned this portrait from Titian - who had quickly become one of his favorite artists - to honor the victory. Contrary to the poised and regal image Titian painted, Charles V was actually carried to the battlefield on a litter due to his personal battle with gout. 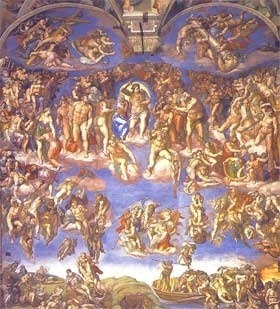 This painting was most likely commissioned to commemorate the Emperor's (and symbolically all of Catholicism's) victory over the rebellious Protestant princes. 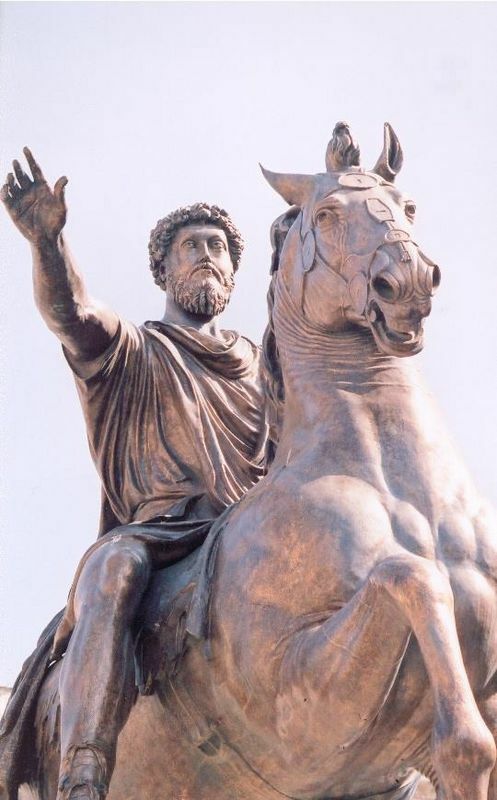 It was also meant, of course, to honor the Emperor's wise leadership and brilliant military maneuvers. 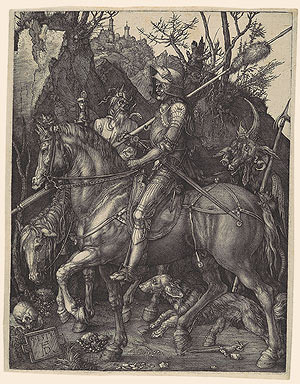 This painting is also closely associated with Albrecht Durer's 1513 print, Knight, Death and Devil, which depicts a haggard knight on horseback riding through a tangled forest surrounded by fearsome demons. The print is believed to represent human fortitude - an apt characteristic for an Emperor struggling to preserve his empire and religion. Titian painted the Emperor on horseback in the same style that was widely popular in Classical Roman and Renaissance sculpture. True to his style, Titian decided to innovate, taking what would have been a familiar image - a powerful ruler, brandishing a weapon on horseback - and giving it a new stage. While the portrait appears to be straightforward with the Emperor dressed for battle on a horse, Titian included a number of subtle symbols that would have probably been evident to educated Renaissance viewers. The pose and its circumstances put Charles V in the position of both a Christian crusader and a follower in the footsteps of Roman tradition. According to the painting's current home, the Museo National del Prado in Madrid, Charles' spear harkens both to the power of the Caesars and also St. George's famed spear. Parallels such as these give the painting many layers to examine and create a luminous portrayal of a complex individual and historical theater. Titian rendered this painting with the Emperor atop a gently bucking black horse. He and the horse are dressed for battle, though perhaps slightly more ceremoniously than what they actually wore at Mühlberg. In fact, as mentioned earlier, Charles V wasn't even riding a horse at the battle due to his gout - instead, he was carried on a litter. Titian also painted Charles V wearing the symbol of the Order of the Golden Fleece around his neck. Charles V was the leader of this influential order of 24 knights, which vowed to preserve and defend the Catholic faith at all costs. The Emperor and his horse are painted emerging from a dark, thick forest onto what could be considered the battlefield. This could also be interpreted as the Emperor leaving behind the darkness of war and battle, looking forwards to a peaceful future. 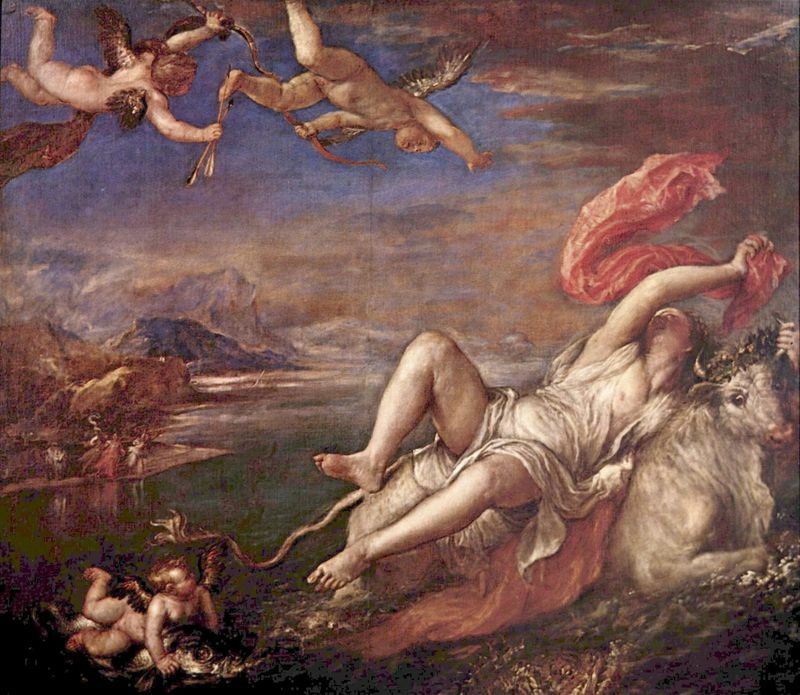 Scholars and art critics cannot emphasize Titian's superior eye for color enough. His creative use of pigments and ability to subtlety blend edges into a continuous flowing painting has captivated people for centuries. In this painting, Titian made artful use of reds both to symbolize the bloody business of wars and the Catholic cause. The sky Titian painted is unusual - it is dark and fiery and appears to be a sunset. But if this is supposed to be a representation of the battle, it would be a sunrise, as the emperor and his troops attacked the rebels at dawn. Either way, Titian uses the low-lying light of the sun to illuminate the landscape with soft hills and bending trees in the background. The emperor himself, however, is illumined from the opposite direction, possibly the result of reflection or an unseen light source. This premier equestrian portrait started a massive trend during Titian's life that endured for centuries afterward. During Titian's life, this portrait was part of various private collections where it was presumably greatly admired. 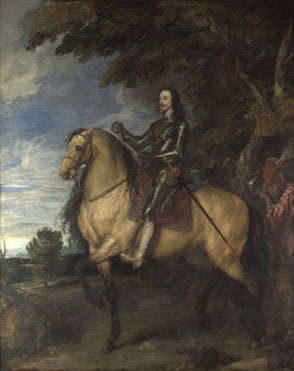 This work was widely popular and helped establish a new genre of painting - the equestrian portrait. 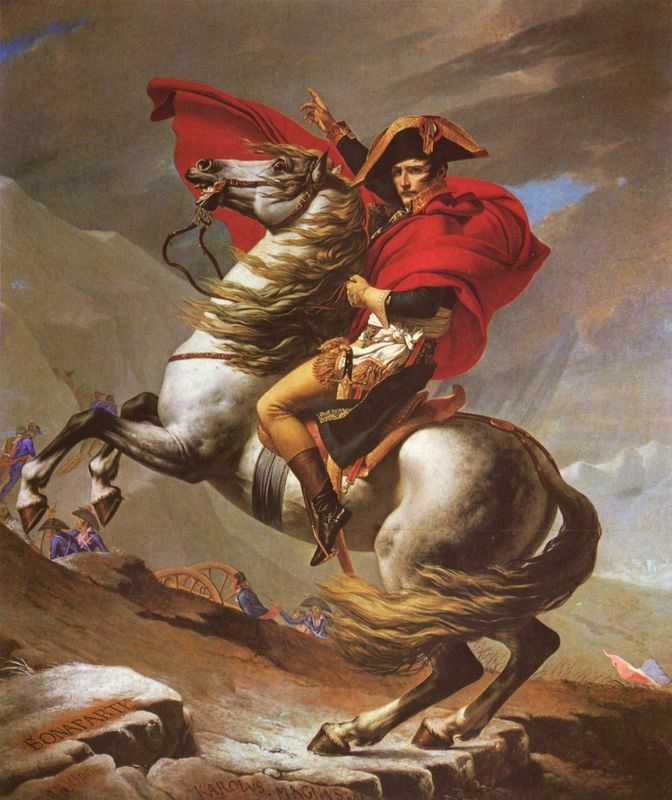 Subsequent artists such as Velazquez, Goya and David painted portraits of world leaders in a similar style, taking Titian's idea and running with it to create ever more impressive and imposing equestrian depictions of powerful men. 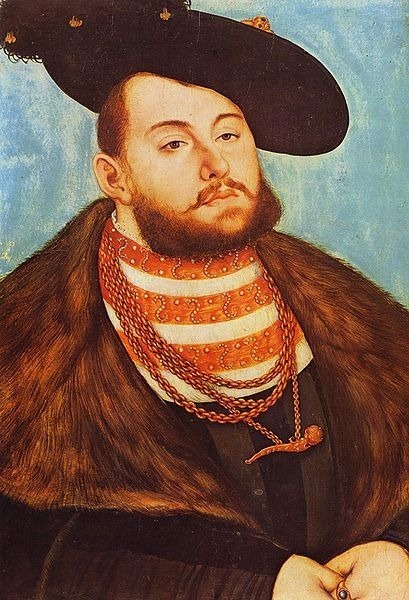 Today, although world leaders rarely commission equestrian portraits to espouse their own gloriousness, Emperor Charles V at Muhlberg is highly regarded among art critics and enthusiasts alike. 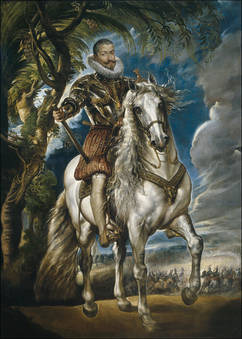 The portrait of Emperor Charles V on horseback was housed first in Fugger (Fochari) collection after its completion in 1548, but was transferred to the Emperor's sister Maria's private collection in Hungary a decade later where it remained until she retired and moved with it and her newly-abdicated brother to the Royal Alcazar in Madrid, Spain. In 1734 the Alcazar, which was home to hundreds of magnificent paintings, was horrifically damaged by fire. Emperor Charles V at Mühlberg was saved with minimal damage, as was Velazquez's Las Meninas but hundreds of other works were lost. 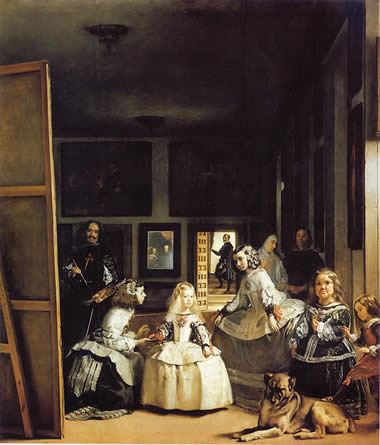 In 1827, the portrait was transferred a final time to its current home, the Museo Nacional del Prado in Madrid where it is currently on display. Titian, born Tiziano Vecelli around 1488, was the painter responsible for championing the colorful Venetian school of art. His almost uncanny understanding and handling of color soon drove him to the forefront of the Venetian art scene, winning him commissioners and friends from among the most powerful rulers in Europe, such as Emperor Charles V and his son, King Philip II of Spain. Titian was a hugely prosperous and prolific painter, producing portraits, mythological works and religious scenes with apparent ease. He painted up until his death in 1576. Painted during the High Renaissance, Titian's Emperor Charles V at Mühlberg was a painting that represented the Renaissance ideals of exalting antiquity, yet progressing forward as the image of a leader displayed triumphantly on horseback was associated with classical sculpture.